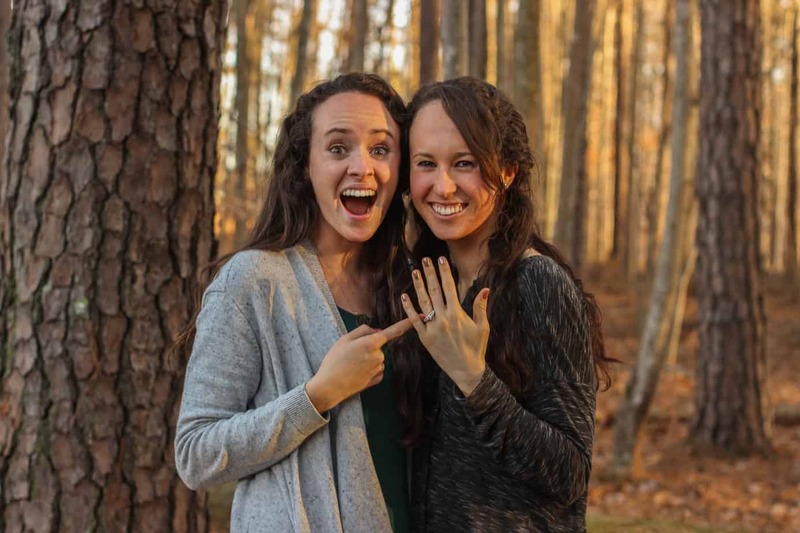 You are here: Home / Life / My sister’s ENGAGED! 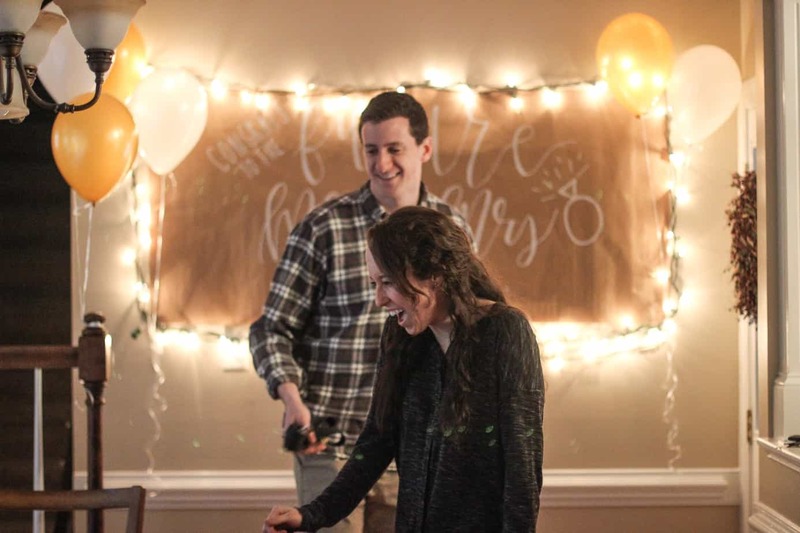 After a couple weeks of a break from blogging during finals, the end of the semester & celebrating Christmas with my family, I’m back with exciting news: my sister’s engaged! 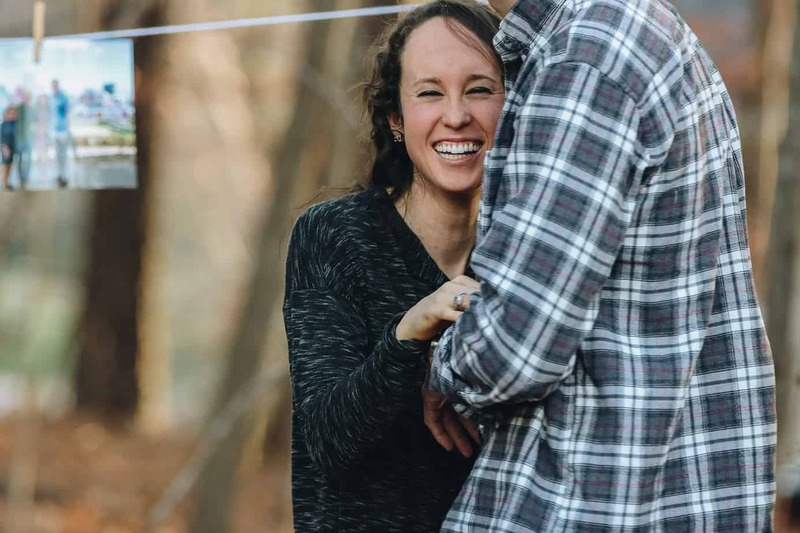 If you’ve been reading the blog for a while, you might remember her popping up from time to time since we had lots of dinner dates, study sessions, girls’ nights, and grocery store trips while she was at UNC with me. Now, we spend most of our time together on long-distance phone calls while we run at the same time, just a few states apart. She’s always been one of my best friends, and I’m so happy for her. So, my sister, Marissa, started grad school at Johns Hopkins this year. On her second day in Baltimore, she met a guy named Alex in her master’s program, and they hit it off right away. Ris almost immediately knew there was something different about Alex (besides the fact that he’s 6′ 7″!) She called me the morning after they’d hung out talking for the first time the previous night, and she told me she thought she could marry him. It wasn’t long before they started dating, and about a month into their relationship, I visited Ris in Baltimore and got to spend time with her and Alex. I gave him the sister stamp of approval, and a few weeks later, he met my parents when they visited Ris in Baltimore. After just a few more months passed, they decided they wanted to be together forever. When you know, you know, I guess! Alex and Marissa planned to come stay with our family for a couple of weeks in Raleigh, NC, during their winter break. 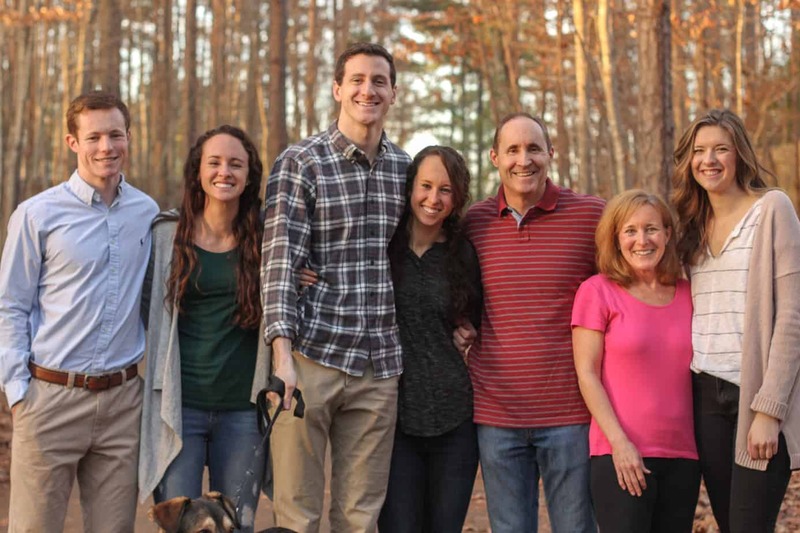 Alex reached out to our family to help him plan a proposal for Ris in Raleigh since he’s only been here once before– about 24 hours for Thanksgiving when they stopped on their way to visit his parents in South Carolina. Marissa and Alex had talked about marriage enough that she knew a proposal was coming soon, but she didn’t know when or how it would happen. 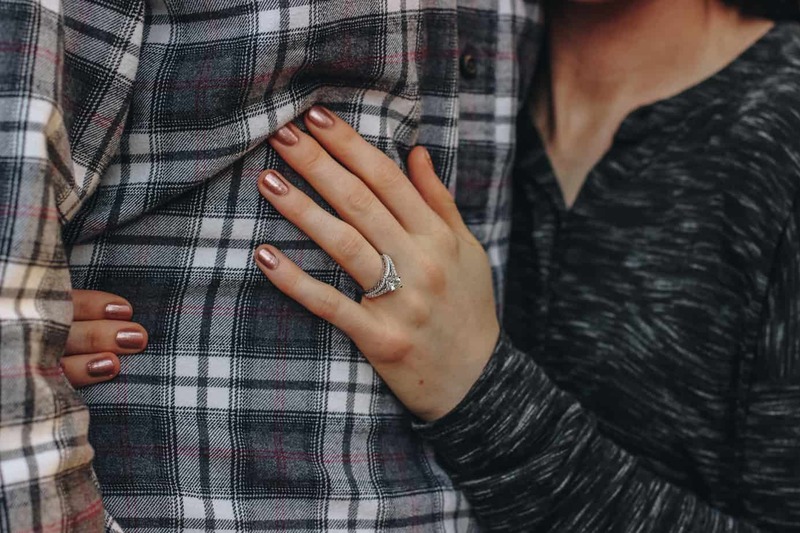 Marissa and I have talked about our “dream proposals” with each other in the past and have said that something romantic, semi-private, and with family close by would be perfect. Public proposals can be fun, but we both agreed they wouldn’t be our thing. Marissa mentioned she’d want to have lots of pictures from the proposal, too, just to preserve that memory forever. So, that’s pretty much what I told Alex. Alex asked if there was a special place to my sister in Raleigh, and I really couldn’t think of one. We moved around a good bit and Ris only lived in Raleigh for her last two years of high school, so there really isn’t one significant place in Raleigh that we always visited growing up. 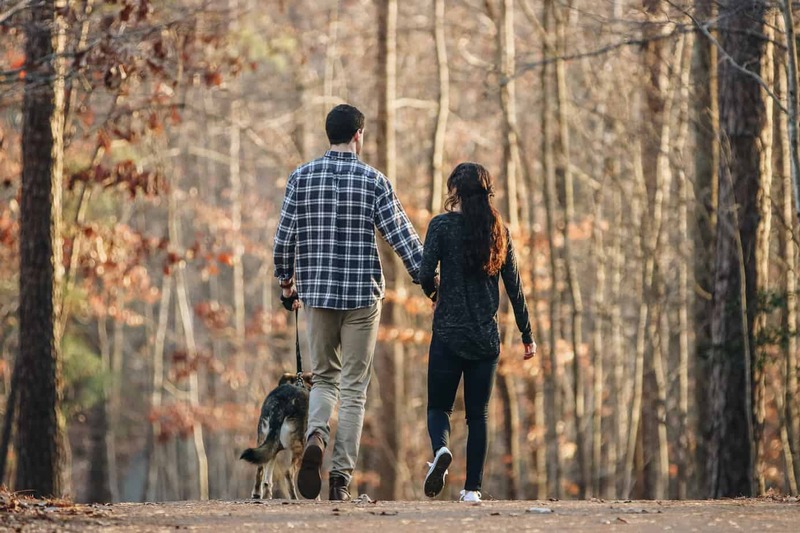 We do have a greenway that runs through our neighborhood, though, and both my mom and I separately suggested it could be a cool place to propose. I had the idea of placing pictures or rose petals or something along the trail to make it more thoughtful, and Alex liked the picture idea. 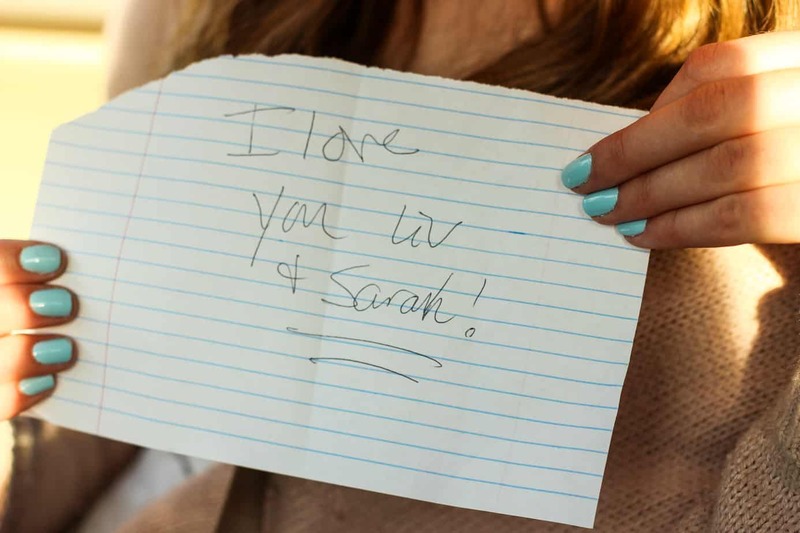 Then, he had the idea of writing something meaningful on the back of each picture, too. So, the plan was that we’d place pictures along the trail sometime early in the day on Thursday, and then Alex would ask Marissa to go for a walk that afternoon. They’d end up at the spot where all of the photos were, and I’d be somewhere nearby to take pictures. There’s a secluded footpath that veers off from the main greenway, which seemed perfect so there wouldn’t be people walking by while the proposal was going down. 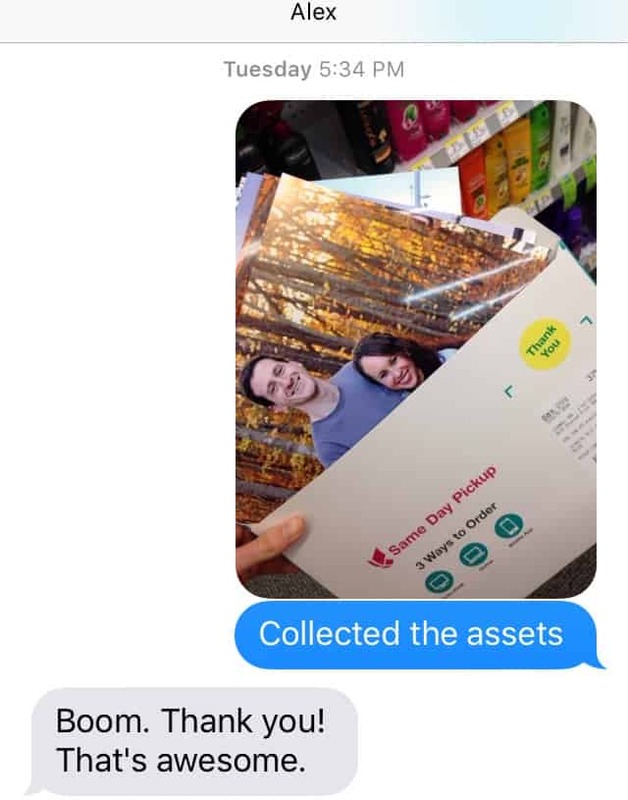 Alex ordered the pictures at Walgreens and I picked them up a few days in advance. 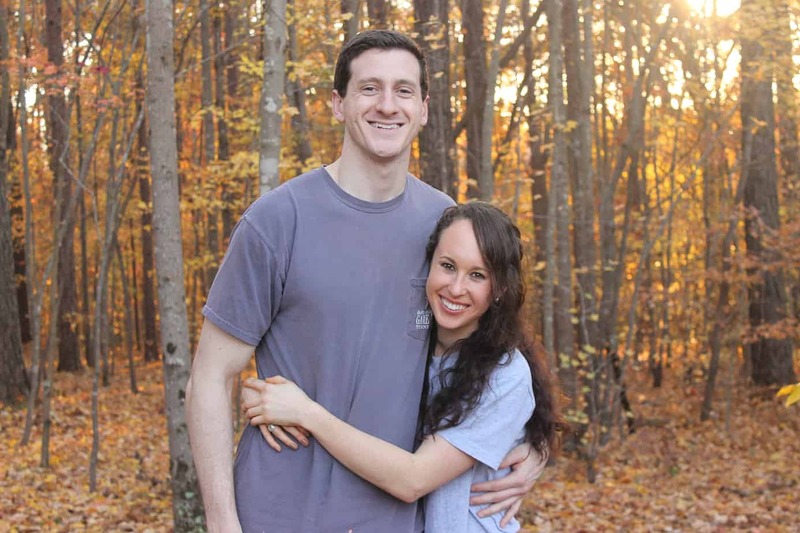 Marissa and Alex arrived in Raleigh on Wednesday night in time for dinner, and then Thursday was the proposal day! On Thursday morning, Marissa and I woke up and went for a run first thing before she left to teach a group fitness class at our gym. While she was at the gym, I drove to the airport to pick up our cousin, Sarah. We grew up in Atlanta across the street from our cousins, so Sarah is like a third sister to us. 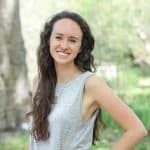 Last week, Sarah found an inexpensive flight to Raleigh from Atlanta. She told my mom and me about it, but we didn’t tell Marissa so it could be part of her day of surprises. After Marissa got back from the gym and showered, I took her to get her nails done as part of an early Christmas present. Alex helped throw her off by asking how long a manicure lasts, and she said it’d last a week if she’s careful. He told her she should try to be careful then. 😉 So, she had no idea that the proposal would be happening later that day. While we were picking out our nail polish colors at the salon with our backs to the door, Sarah walked in and grabbed Marissa in a big hug and Ris was so shocked. We almost never take time to get our nails done, so it was a fun treat and a perfect day for it (little did Marissa know….). We headed home an hour later with pretty nails, and then Marissa left the house for another appointment. That’s when Alex, Sarah, and I headed to the greenway trail to set up the proposal. 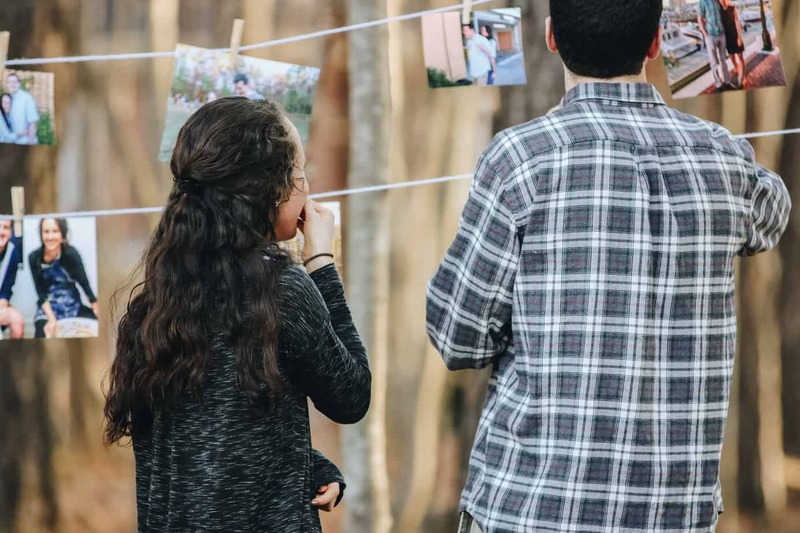 Sarah had the brilliant idea of stringing the pictures up with clothespins and clothesline, which ended up creating a pretty backdrop for pictures later on. And Alex hid the ring box inside of one of his socks. 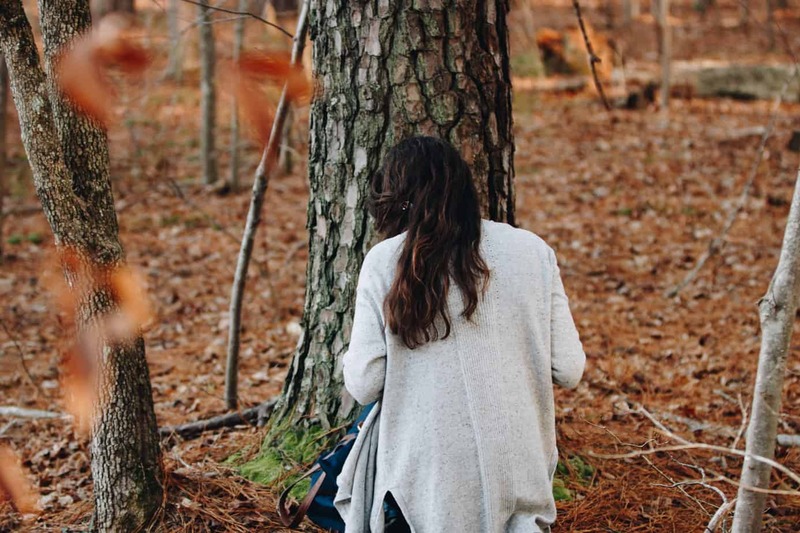 By the time Marissa got home, the three of us were back from the trail and were just sitting at the kitchen table chatting. Alex planned to ask Marissa to go for a walk when she got home. But Marissa actually beat him to it and happened to ask HIM to go on a walk with her that afternoon, so she really wasn’t expecting a thing. Instead of driving to the grocery store, Sarah and I hightailed it to the trail and took up our hiding spots behind trees. Having Sarah there was awesome because we could cover two different angles and capture both close-up and farther away pictures with our different lenses. 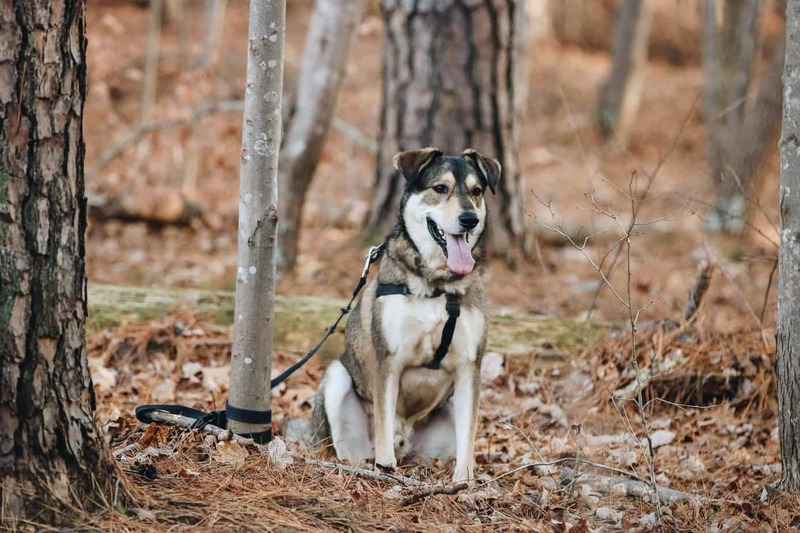 Just a few minutes later, we spotted Marissa, Alex, and Alex’s dog, Asher, walking down the greenway and turning onto the smaller footpath where the pictures were set up. 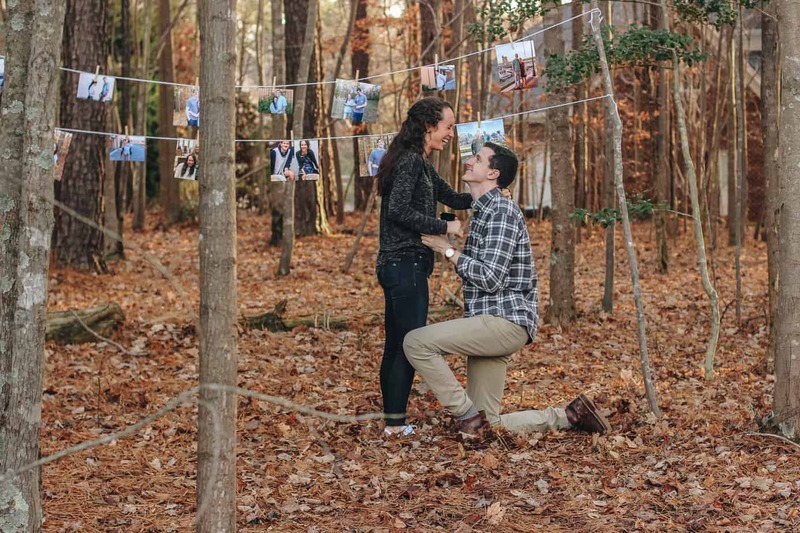 Afterwards, we asked Marissa what she thought when she saw rows of pictures and she said it honestly didn’t hit her that a proposal was coming. 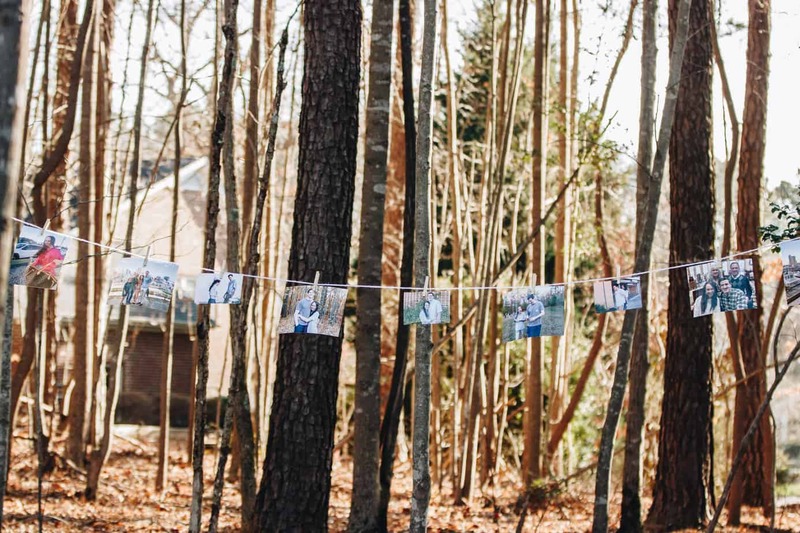 At first, she thought a family had hung up Christmas cards in their backyard- ha! Marissa read the back of each picture and Sarah & I snapped pictures from our respective hiding spots behind trees. We were a bit too far away to hear what they were saying, and they were too far away to hear our camera shutters snapping, so luckily, they had some privacy. Alex’s dog waited patiently nearby. 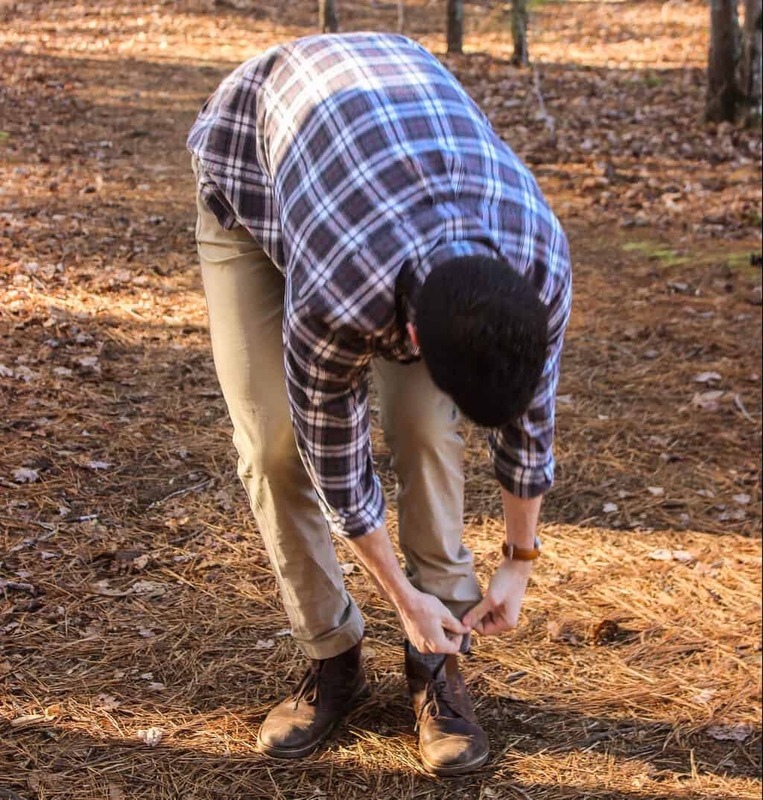 Then, Alex got down on one knee, smoothly pulled the ring box out of his sock (haha), and asked Marissa to marry him. She said yes! They were so excited and even though we were hidden, we honestly felt a little intrusive for being there for such a special moment (although it was really fun to watch!). But I’m so glad they’ll always have pictures to remember that day. Afterwards, she turned around and spotted us when we peeked out from behind the trees. Sarah and I tackled her with big hugs before snapping a few pictures of us with her. I texted the rest of the family once we started walking back because they planned to meet us on the greenway after. My mom said they needed five more minutes, so Sarah and I stalled by taking some more pictures. This ring…I love it! Pretty soon, we saw my family walking down the greenway towards us. Alex knew they were coming, but Marissa was surprised (again!) and there was a lot of excited talking, hugging, and ring-examining. At this point, Alex’s face was starting to get tired from smiling so much, so we quickly snapped just a few more. 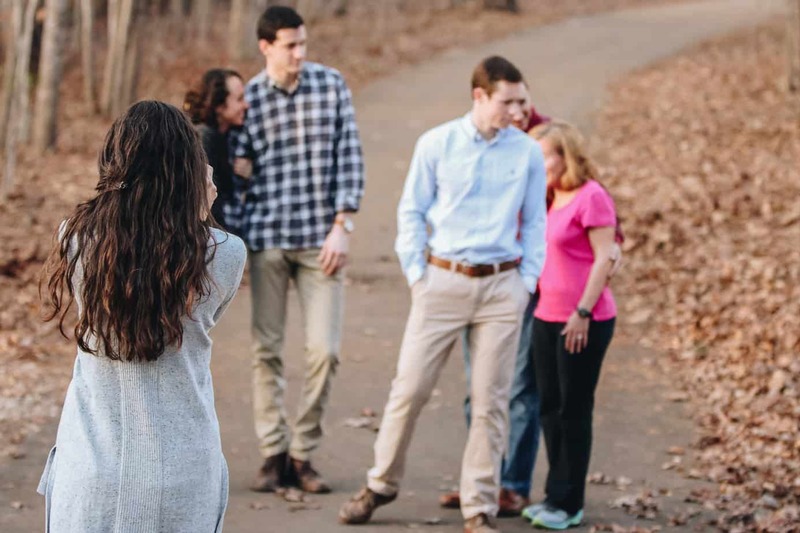 After having a friendly neighborhood walker take a picture of the whole family, we headed back home for one last surprise…a mini engagement party. My super talented cousin, whom we’re all currently trying to convince to set up an Etsy shop, made this gorgeous sign by hand. 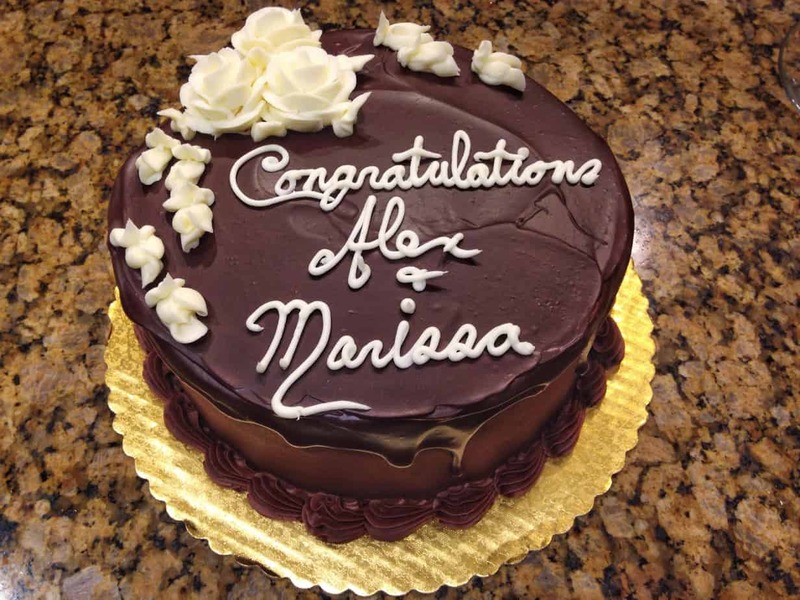 And since it would’ve raised Marissa’s suspicions if we’d baked a cake that afternoon, my mom ordered a celebratory chocolate “mud cake” from Whole Foods, which was so, so good. It may look like a generic chocolate cake, but it was so not. Pretty sure I ate a piece every day for the next four days straight (just to keep celebrating Marissa and Alex, of course). 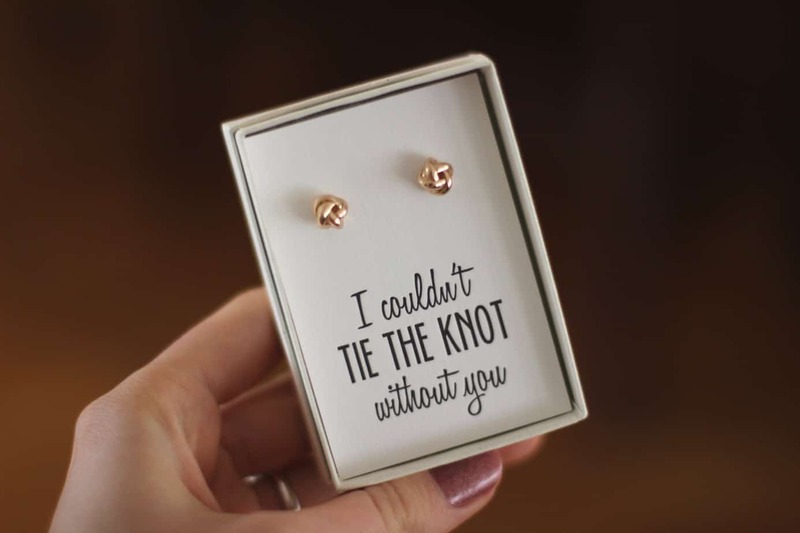 That night, after dinner, Marissa asked Sarah to be a bridesmaid and asked me to be her maid of honor with these cute earrings. Since she knew the proposal was in the near future, she’d planned ahead and already bought them. Of course, we said yes. I’m really, really happy for Ris and Alex and was so happy to be involved with the proposal. And now…on to wedding planning! Have you been part of any proposals or weddings? What do you think your “dream proposal” would be like? This is the most adorable thing ever!! Congratulations to your sister!! Thanks, Brie! I’m so excited for her! Thanks, Lizzy! It was a really fun day! Can’t wait to meet you and your parents when we come to Raleigh on Jan 11 & 12. While we’ve only spent a smidgen of time with Marissa, we absolutely adore her. Thank you for providing such a detailed description of the proposal – the next best thing to being there! You obviously have a close, wonderful family and we can’t wait to get to know you. Hi, Mr. Kronk! 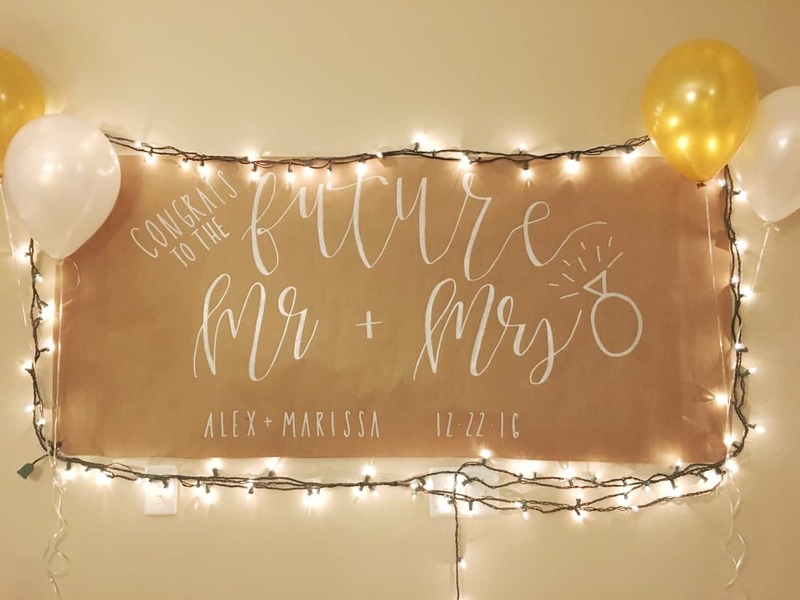 We think the world of both Marissa & Alex and are all very excited to meet you two, too! This is so exciting, and I love the looks on Marissa’s face. She totally just shines, and you all really loved her and supported her with the perfect, beautiful proposal! It was so fun to see her face when he proposed. I don’t think she stopped smiling all day! What a unique way to propose to your gal to be married. With such creativity, I.can hardly wait to see what the future will bring. Thanks Olivia for documenting the proposal so well. You might submit it to your local newspaper as a human interest story. Ahhhhhh! This is SO SO SO SO SOOOOOOOOOOO sweet! 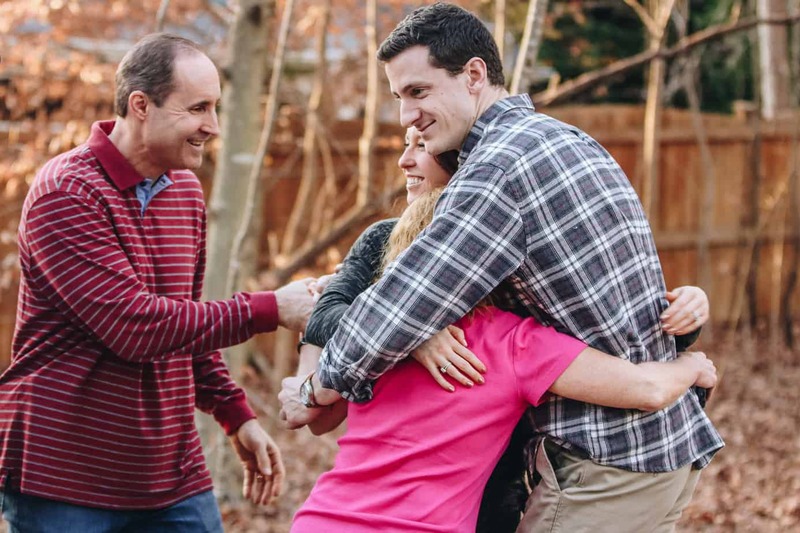 What a beautiful proposal – and how special it must have been to be involved with it all! I am sure your sister was beyond grateful! A hopeless romantic here I awww-ed all throughout the post. This is the sweetest thing I’ve read in a long time. Congratulations to your sister and Alex! Thank you for sharing not just a few pictures but the whole story. 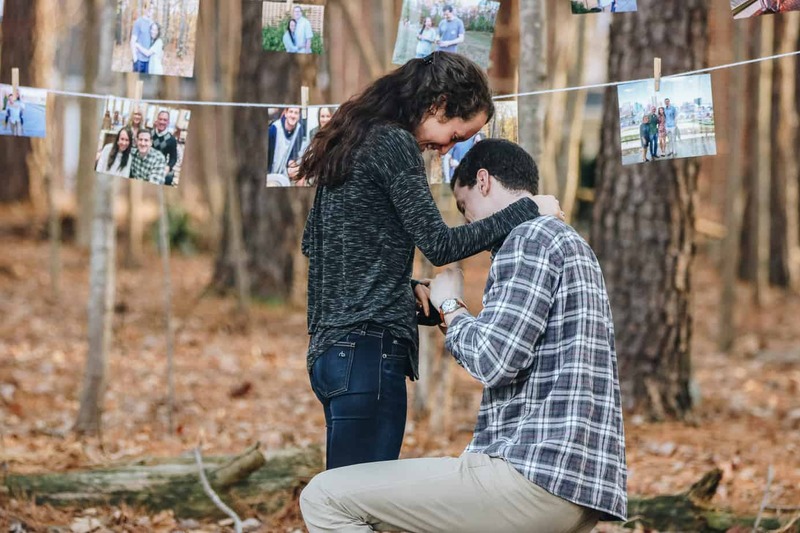 All the little details you thought of must have truly made it your sister’s dream proposal. She and Alex sound like they were just meant to be which makes it even sweeter – told you I was a hopeless romantic. Also, your pictures are amazing! You’ve got serious talent. That is so adorable! What a wonderful day you all planned out. She will make a beautiful bride! 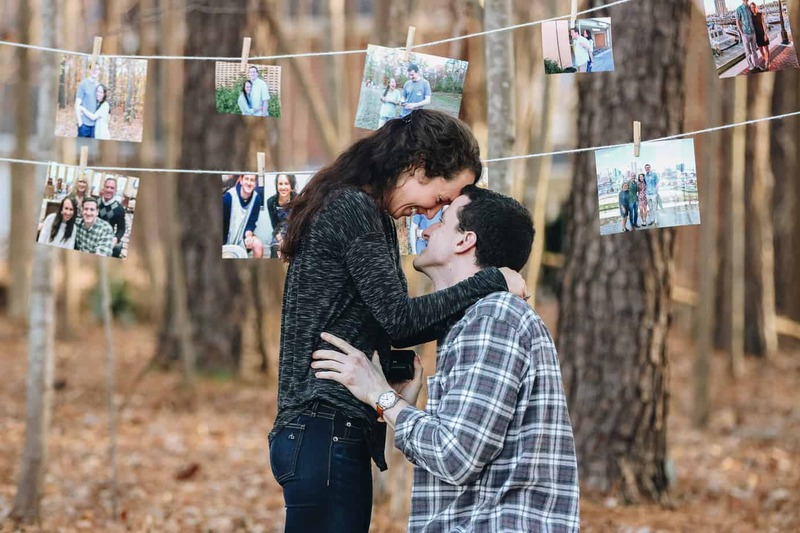 AHHHH engagement stories make my heart soar!! What an incredible production you all put on 🙂 Congratulations to Marissa and Alex! I cannot wait to hear all about the wedding and everything leading up to it! You are such an awesome sister, Liv. You’re so sweet, Alison! I’ll definitely include some more about wedding stuff as we go since I personally think it’s so fun to write/read about! She is such an awesome sister!!!! This is perfect. I smiled so much reading your account! Adorable – and you took such beautiful pictures! LOVE this story. What a magical time for them 🙂 congrats to your sister. i was smiling the entire time reading this. i am so happy for your sister!! What an exciting time for your family! So awesome that you got to be a part of the big surprise! i think I would love that outdoor set up too! How wonderful! You tell the story so beautifully! Having been down this road twice in 2016, let me tell you, the fun is just beginning! If you need tablecloths, cylinder vases, or bubbles for wishing them a bon voyage – let me know! 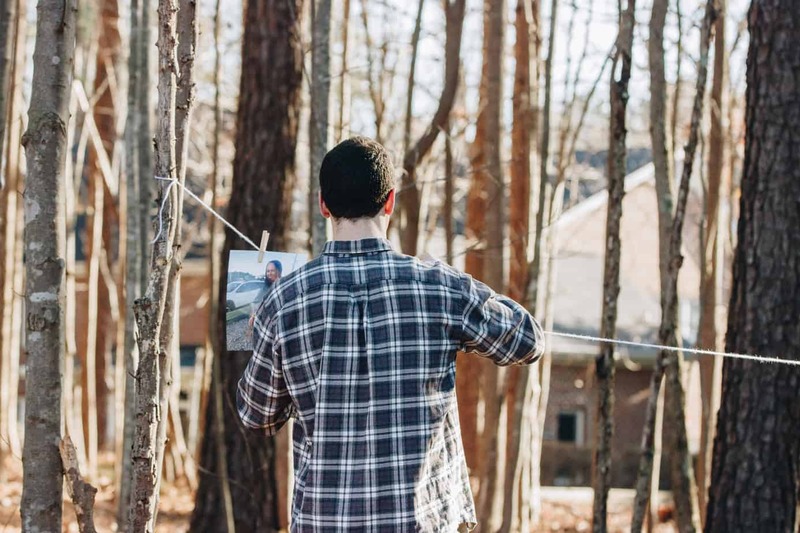 I can also HIGHLY recommend the following – Autumn Harrison Photography, Muddy Trails Video (that’s Bryce Suriano and his wife, if you knew him at NRCA), and Damien Maass Video. For catering, we were really happy with McCall’s BBQ & Seafood – they did both rehearsal dinner and reception for Kelsey’s wedding, with totally different menus and they are not at all limited to BBQ & Seafood. Oh, and North Raleigh Florist – Samantha – was fantastic! And you are absolutely right, when it’s right, you know it! Blessings to Marissa and Alex and your whole family! Thanks, Faith! I didn’t realize you and Brett had a short dating relationship and engagement, too- very cool! This was the most amazing love story I have ever read! Thank you so much for capturing such a special time for Marissa & Alex! I can’t wait to meet you at the wedding. I heard a lot about Marissa’s family, when she worked with me at GSK. I’m so glad you enjoyed reading the engagement story! Marissa told our family a lot about you, as well, and I’m looking forward to meeting you at the wedding in just a few short weeks! !